I recently ran out of my holy grail skincare product Estee Lauder Advanced night repair. As it is £70 a bottle and I am saving to go to IMATS in May (Eeeeeeek!) I decided to shop around for some more affordable skincare. Id heard a lot about skincare from The Body Shop, so after finding a 40% discount code online (The code is no longer valid but others available online) I decided to browse their website and see what products they had to suit my skin. The Vitamin E range seemed to be most suited to my ageing, dehydrated skin so I bought the serum, eye cream and night cream. I also picked up the Vitamin C Glow Boosting moisturiser and energising face mist as I am a sucker for any citrus products. When the products arrived I was immediately disappointed that the serum was actually an oil, it does say serum - in - oil on the bottle but I stupidly still expected it to have a more serum like consistency. The vitamin E products have a faint smell but nothing I couldn't bare. I've struggled to think what to say about these products because I feel they just don't do anything. None of the products seemed to make my skin look or feel any better or any worse. Ten minutes after applying the serum, eye cream and night cream my skin felt really dry again and I had to reapply. I have tried using more product but this does not make my skin look or feel anymore moisturised. The Vitamin C Products were a huge disappointment for me. The smell is very extreme, like a very synthetic orange smell which I hate. Both the moisturiser and face mist leave your skin feeling really sticky. My immediate thought when first using that this would be great for keeping makeup in place all day. I was wrong! 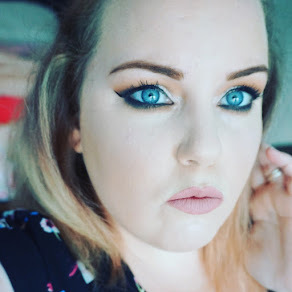 When I tried to apply foundation over these products it just slid all over my face. I had left plenty of time for the products to absorb into my skin so this should not have happened. I have tried different foundations and methods of applying but still had the same problem. Overall, I feel like I wasted my money buying these products. I feel products such as the Garnier Ultralift Range do far more for my skin and are more affordable. Of course if you wish to spend that bit more on your skincare I would always recommend Estee Lauder Advanced Night repair serum, I swear the stuff is magical. 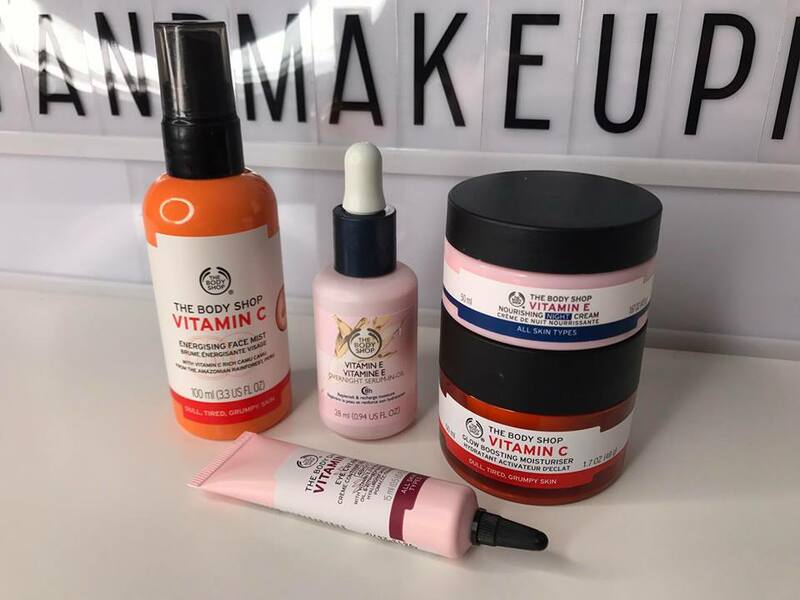 Have you tried any skincare from The Body shop? What did you think of it let me know down below. Also, let me know if there are any other affordable skincare items you think I should try. 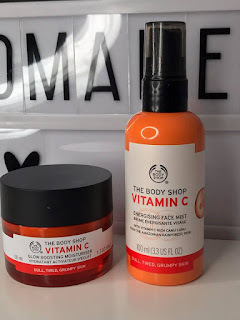 Since writing this post a lovely reader suggested that I try using the Vitamin C moisturiser at night as she had found it to be very sticky too and found it sinks in better if used overnight. She was totally right! It makes such a difference using it at night, although I am still not fond of the sticky feeling or smell I do find leaving it overnight lets it fully sink in and my skin is lovely and soft in the morning. Thank you so much to Nicci for suggesting this to me because I hate products just sitting in my drawer going to waste because I don't like them. 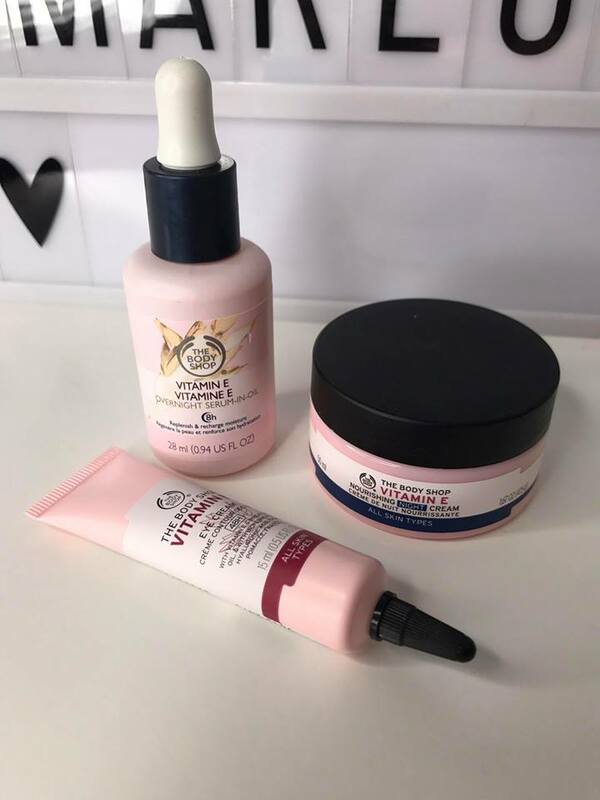 Please feel free to comment on my reviews with any suggestions like this because that's what this blog is for, I am no expert, I love hearing your opinion on products and how you use them.